One Swede claims his "whole life has been a lie". LONDON — Sweden, land of Ikea and social welfare, has something to tell the world — news that could shock the palate. Swedish meatballs, the signature national dish, are really Turkish. The country’s national Twitter account made the announcement in a tweet this week. Just take out the pork because Turks do not eat pork meat. The ones sold at IKEA in Turkey do not contain pork. 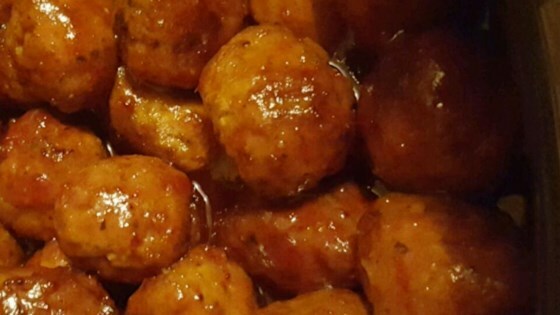 The ancient Romans had meatballs. French fries aren't French either. and surely there's a whole lot of similarly mislabeled stuff. No one thinks French fries are French. I think fries are actually Belgian. They (and the Dutch) make the best fries, in my opinion. I still like em. Yumm. Swedes are not known for their cuisine. Chocalate maybe. Swedish chocolate? Are you sure you're not confusing Sweden with Switzerland? As for Swedish cuisine I think they definitely have a recognisable cuisine, as part of Scandinavian culture. Pickled herring, gravlax (cured salmon), crispbreads, and I'm sure you've heard of the word smorgasbord, a Scandinavian buffet. Swedish chocolate? Are you sure you're not confusing Sweden with Switzerland? As for Swedish cuisine I think they definitely have a recognisable cuisine, as part of Scandinavian culture. Pickled herring, gravlax (cured salmon), crispbreads, and I'm sure you've heard of the word smorgasbord, a Scandinavian buffet. Their Marabou chocolate is delicious. 2freaky4church1 said: Swedish chocolate? Are you sure you're not confusing Sweden with Switzerland? As for Swedish cuisine I think they definitely have a recognisable cuisine, as part of Scandinavian culture. Pickled herring, gravlax (cured salmon), crispbreads, and I'm sure you've heard of the word smorgasbord, a Scandinavian buffet. I've just realised that Daim chocolate is Swedish and I had no idea. In the UK it was sold as Dime so I just assumed that it was American in origin. I'd see it in the Ikea as Daim but I just thought that they had changed the name for the local market, I didn't realise it was us that had had the name changed. So I stand corrected, Sweden does indeed have some well known chocolates. And they love their coffee too, good combination! They need to learn from england. Some snacks and chocolate have slightly different names and designs from country to country. And sometimes certain flavors are only available in certain countries ( for instance the myriad of KitKat in Japan compared to the classic red KitKat or white chocolate KitKat in Europe). Twix for instance, used to be Raider in Germany and then they changed the name to Twix about twenty years ago. And some chocolate bars have a different filling. I didn´t know that Daim is called Dime in the UK . The Three Musketeers chocolate bar in the USA is different from the one I used to eat as a kid. There's a recipe from my 1960s childhood that uses grape jelly in the sauce. Not as bad as it sounds.